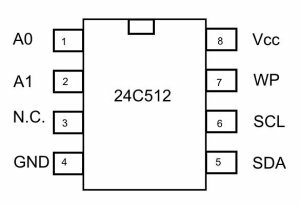 The arduino 24C16 EEprom is a simple memory chip that works with I2C and is interfaced to the arduino. Looking to buy or find the datasheet. Look here. 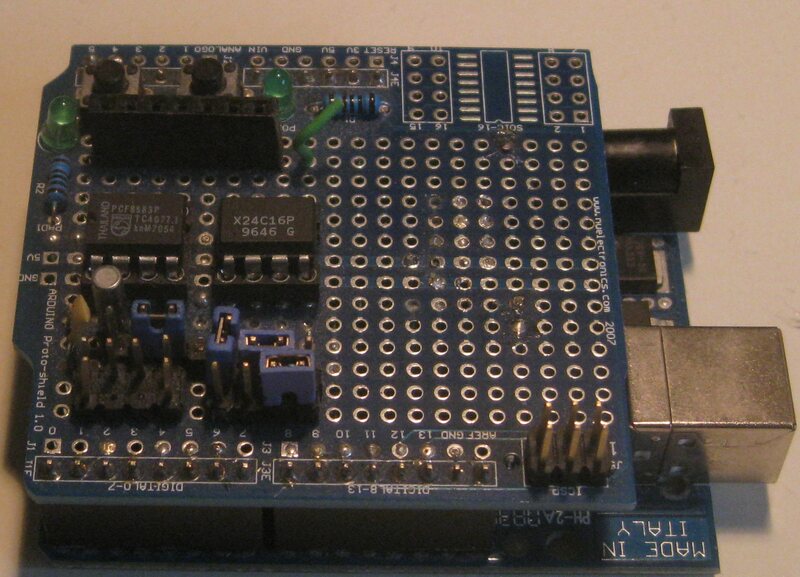 There are many people who already have interfaced this chip with the arduino. I did mine on a standard arduino shield. With jumpers you can select A2 A1 and A0 to select the I2C adress. In my case i set the A0 jumper so that i had slave adress 0x51 as you can see in the program. 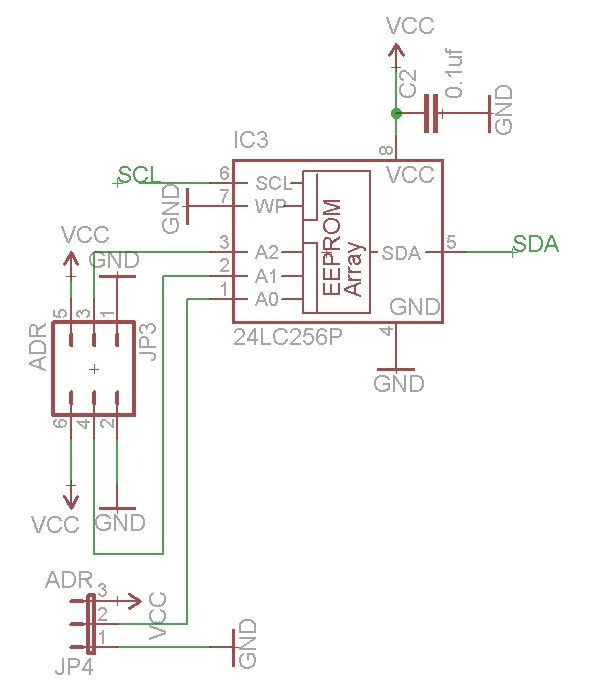 Yes you must rotate right one bit from the datasheet to comply with the Wire library. The software to control it can be downloaded here. It has been written by davekw7x and the original posting on arduino.cc you can find here. I have adapted it to run on the arduino 1.0 IDE. 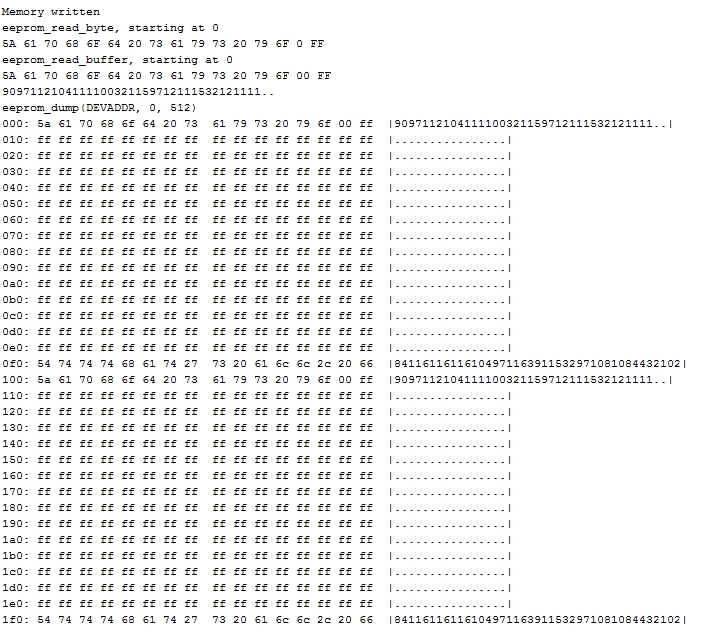 You can also see the output from the program showing the EEPROM being erased and then loaded with selected data. 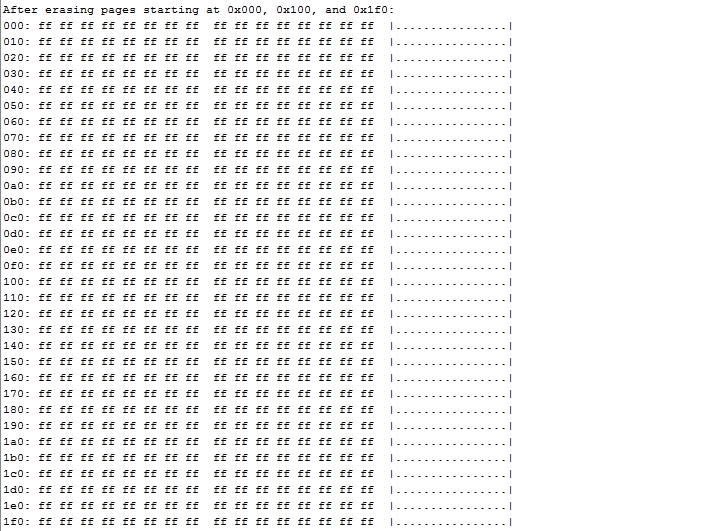 // Pages are blocks of 16 bytes, starting at 0x000. // on the same page as the first byte. // No checking is done in this routine. // at a time! No checking is done in this function. // EEPROM reads for length greater than 30. // begin and end on a 16-byte boundary. Output from 24C16 program. On left after erasing the 24C16 on right reading fixed values to the 24C16. You connect the A0 A1 and A2 pins as required. Please note that the larger 24C512 and 24C1024 require slightly different software to operate. You can find this on the arduino.cc site.